The Coolidge PTO is an organization of parents, teachers, and staff of Calvin Coolidge Elementary School committed to enhancing the educational, cultural, and social atmosphere of the school. Each year, the PTO raises funds to provide supplemental academic materials, educational enrichment programs, social programs, staff appreciation, field trip buses and other items not covered by the school budget. We are also known as C.A.P.E., the Coolidge Association of Parents and Educators. The PTO has paid for, or contributed to, the field trip buses to Plimoth Plantation, the American Textile Museum in Lowell, and the Town Centre of Shrewsbury; playground equipment repair; visits from author Jane Sutcliffe, author April Jones Prince, an Artemus Ward performer, Wingmasters, a beekeeper and others; as well as the 4th Grade Completion Ceremony. The PTO also runs or assists with the following community events and academic initiatives: Reading and Math Incentive Program and Ceremony, Snowflake Festival, Field Day, Gingerbread Shop, PTO Breakfast, Coolidge with the Worcester Railers, Spring Fling ice cream and raffles, and Teacher Appreciation events. Who makes up the PTO? If you are a parent of a student at Coolidge or are on the staff, you are a member of the PTO. We hope to see you at our monthly meetings, and hear your thoughts and opinions, so that we can be sure our actions represent the wishes of the Coolidge community. Do I need to attend meetings in order to participate in the PTO? No. If you would like to help out with the PTO, but you cannot attend our monthly meetings, simply contact us! We’ll put you in touch with our volunteer coordinator, who can help you find a way to participate. If you have an hour you can spare, let us know! If you can make a regular commitment, let us know! We’re happy to have you as a part of our community. Do I need to spend money to help the PTO? No. PTO volunteers dedicate their time to helping enrich the education of our students. We also coordinate collections, such as Boxtops for Education, and linking rewards cards (such as for Stop & Shop) to the school. See the Fundraising & Support page for more information. Fundraising is a large and tangible way that the PTO can assist our students. The goal of the PTO is to provide enrichment and support beyond what is provided for in the school’s budget. As such, we must raise money to pay for the services we provide. The actual amount of funds needed each year can vary, and the PTO attempts to provide a variety of fundraiser programs and events that will appeal to all in order to raise those funds. Please note that the PTO does not expect everyone to participate in all the fundraisers because that would be very difficult for many families. 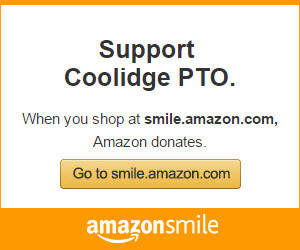 If a fundraiser is not to your liking, please consider writing a tax-deductible check to Coolidge PTO. In doing so, 100% of your money will go toward the general fund of the PTO. PTO and the enrichment committee can always use assistance in finding and arranging enrichment programs for all grade levels. Please attend a PTO meeting or contact PTO at calvincoolidgepto@gmail.com.